L.A. 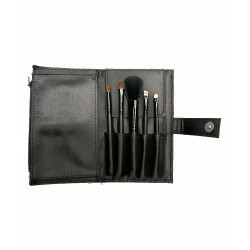 Girl 5 Piece Essential Makeup Brush Set contains all of the beauty tools required to create the perfect look for the complexion. 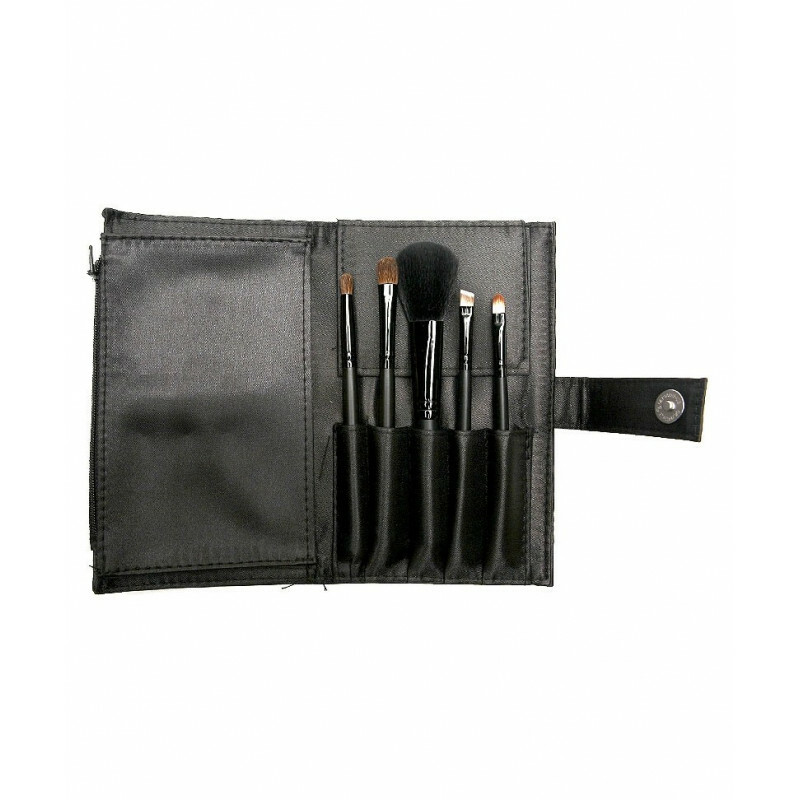 With a convenient case for easy and stylish storage, 5 Piece Essential Makeup Brush Set is extremely travel-friendly, meaning there is no excuse to not be your fabulous best all of the time. Be fully equipped and ready to go with this absolute essential collection, specially formulated to create a professionally crafted finish for the eyes, the cheeks, the brows and the lips. 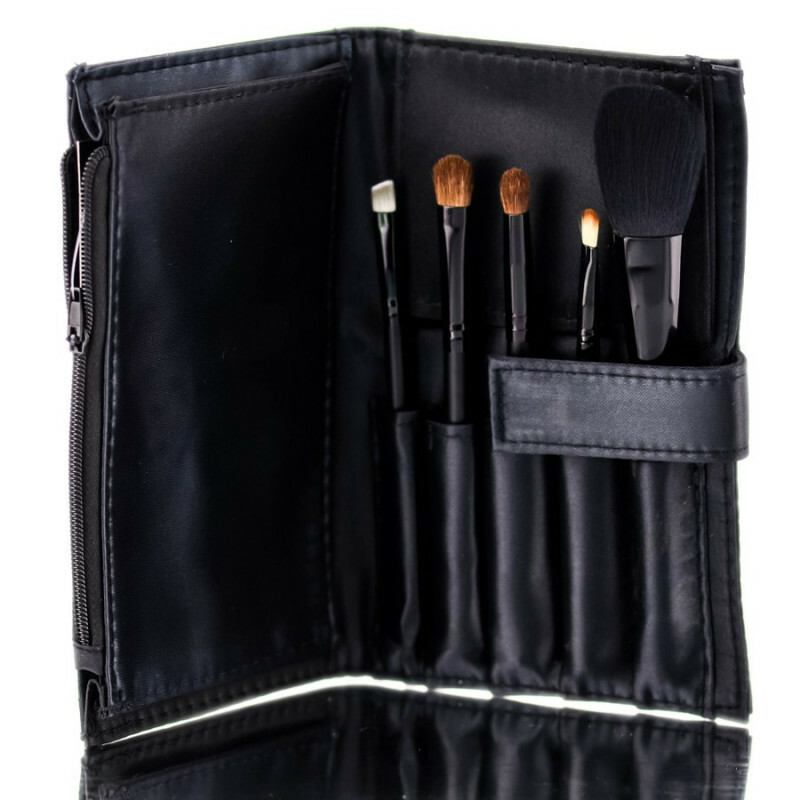 Featuring five decadent brushes, 5 Piece Essential Makeup Brush Set masterfully creates impeccable styles and effects flawlessly, making this collection a certified beauty essential for any cosmetic junkie. 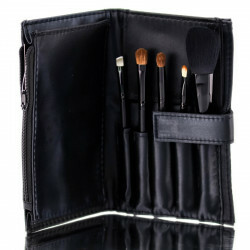 Get an impeccable style on-the-go with the innovative 5 Piece Essential Makeup Brush Set. Did You Know? All L.A. Girl products are fabulously Cruelty-free, ensuring guilt-free beautification. 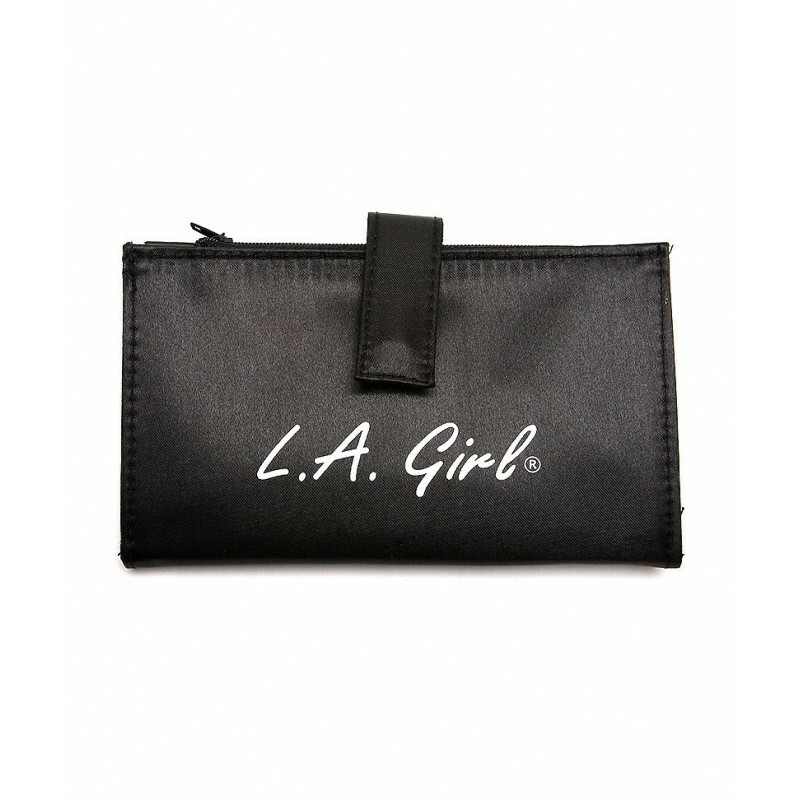 Carrying Case - To keep all of your fabulous applicators safe and sanitary. 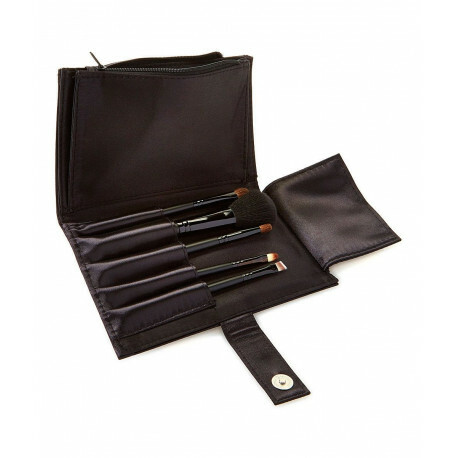 Angled Brow Brush - Ideal for the shaping of the brows. This decadent beauty essential crafts an exquisite finish for the arches, working tirelessly to blend and distribute a multitude of brow enhancing products. 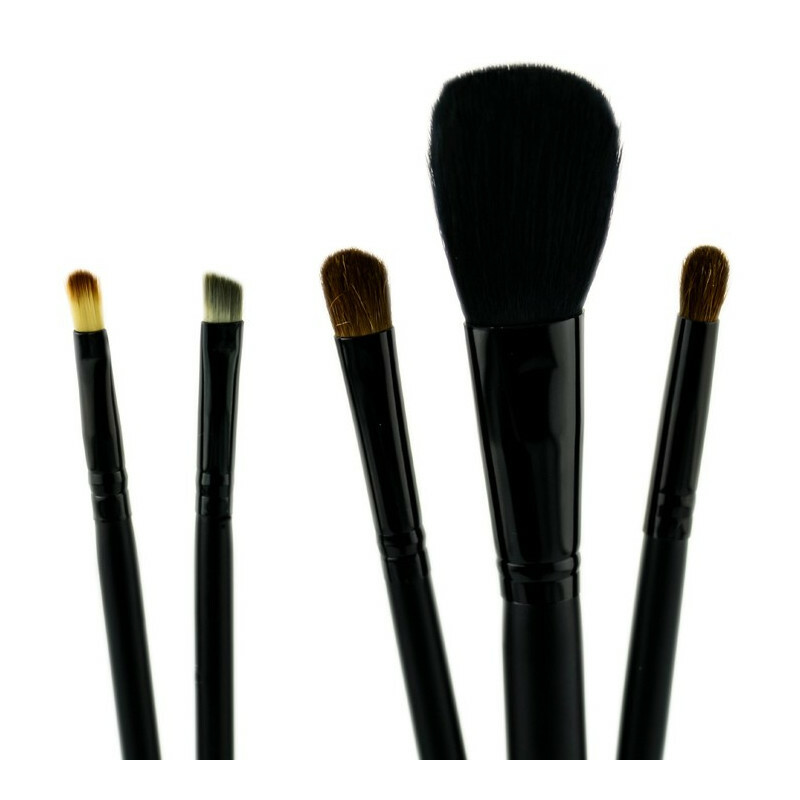 Blush Brush - Perfect for the application of powder, cream and mineral-based blusher. Ideal for helping to add a pop of healthy colour to the cheeks, this enchanting brush blends to a flawless finish without causing streaks, patches or over-pigmentation. 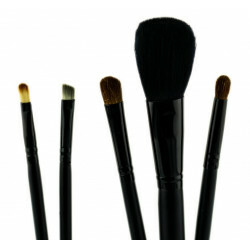 All Over Shadow Brush - Creates an enchanting finish for the eyes using a multitude of products. With the ability to work flawlessly with powder, cream and mineral-based eyeshadows, this elegant applicator shapes, defines and structures the eyelids to perfection, making it a certified beauty essential for any cosmetic junkie. Eye Definer Brush - Adds structure and definition to the eyes effortlessly. With the ability to work with a multitude of products, this applicator is a certified beauty essential for any cosmetic junkie's collection. Lip Brush - The ideal beauty tool for shaping and sculpting the ideal look for the lips. With the ability to work with a multitude of products, this exquisite brush allows for full creative control with a kissable effect guaranteed for the pout.